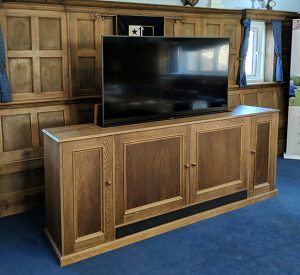 TV cabinets, made to measure, bespoke tv cabinets for AV equipment. 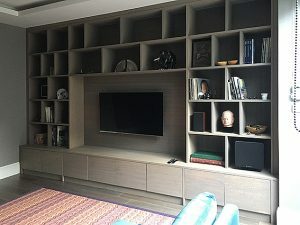 At SPK bespoke cabinetmaking we will work with you to design a truly bespoke TV or Hi-Fi cabinet. 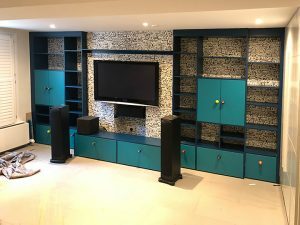 We then build, finish, personally deliver and set up. 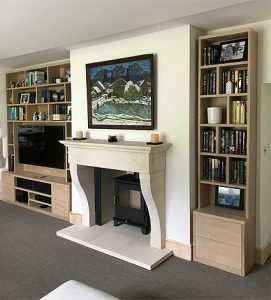 Take a look at some of our recently completed commissions – we look forward to hearing from you. 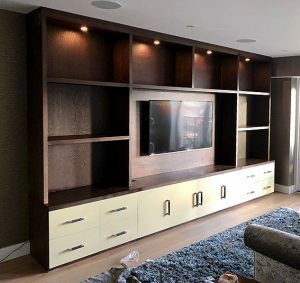 Media units, AV cabinets, TV cabinets. 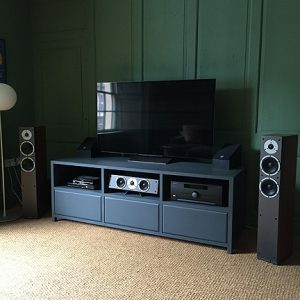 Freestanding or built in cabinets to house AV equipment with the television sitting on top of the cabinet or mounted to the wall. 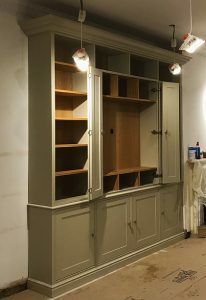 ***We have a separate section for TV lift cabinets. 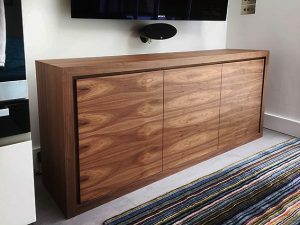 See TV lift cabinets . 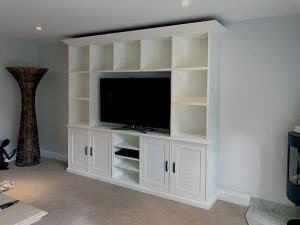 We design and manufacture bespoke tv cabinets with lifts, end of bed TV cabinets, popup TV cabinets to your requirements. Options are available for end of bed or freestanding. 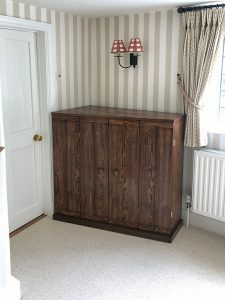 Popup tv cabinets with swivel option are used for living rooms and sitting rooms. 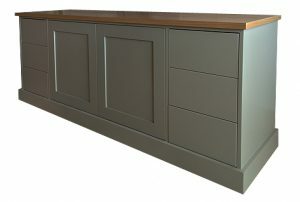 All of our cabinets with TV lift are bespoke, custom made to your requirements in wood finishes or painted finishes.